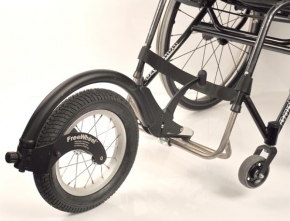 FreeWheel Wheelchair Attachment For Greater Mobility. No more wasting energy and slowing down to pop a wheelie. 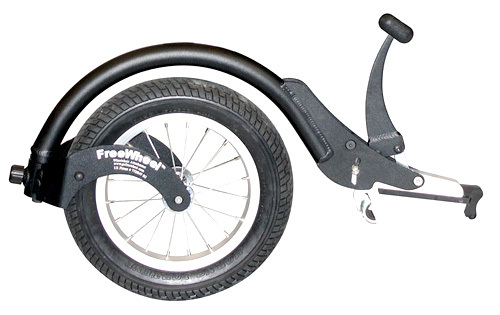 The FreeWheel comes with all you need to set it up on your chair and it’s lightweight (under 5lbs). The initial installation takes approximately 15 min., after that the FreeWheel clamps on in seconds. The FreeWheel comes complete with an attachment that locks onto the crossbar behind your seat back and holds your FreeWheel firmly in place when you need to stow it. Made from strong, aircraft quality aluminium means your FreeWheel comes with a Satisfaction Guarantee. The overall unique curved design adds strength and eliminates sharp edges that might catch on anyone or anything. Attach the included perch onto the crossbar behind your seat back and clamp your FreeWheel onto it when you need to stow it. This allows you to have your FreeWheel literally at your finger tips when you need it and also, keeps it out of the way when you don’t. 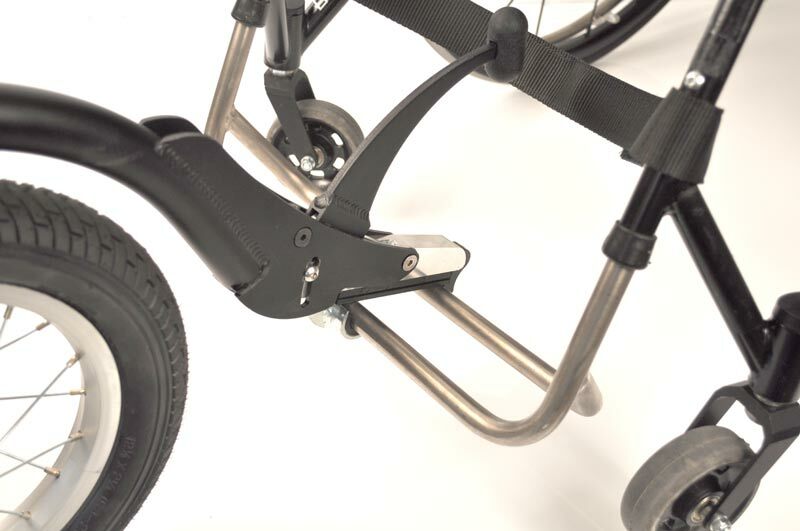 Using the horizontal side tubing, the kit securely clamps on to a folding wheelchair. Once set up for the individual chair, it comes on and off in seconds, making it easy to use. 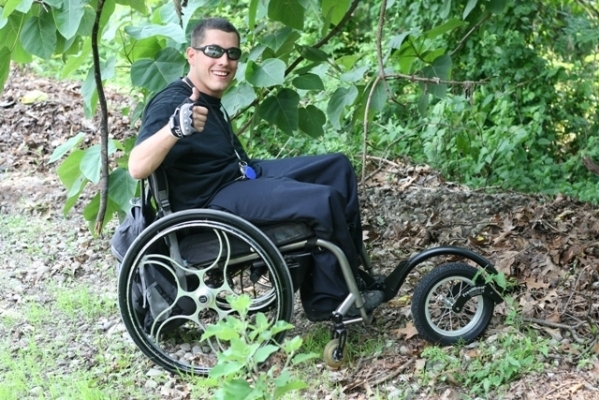 The Kit and FreeWheel may be used on wheelchairs that have 2 or 1 flip up footrest types. 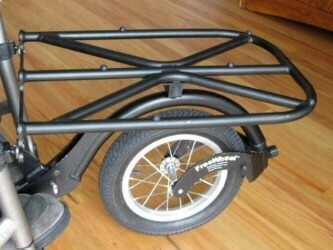 Lightweight, sturdy, black aluminium frame, approx. 1 lb. Love this - just amde a trip to a camping field possible for 10 hours. but worth it for certain circumstances - does add - distance to the front. and allowance is needed for the turnign circle in places.